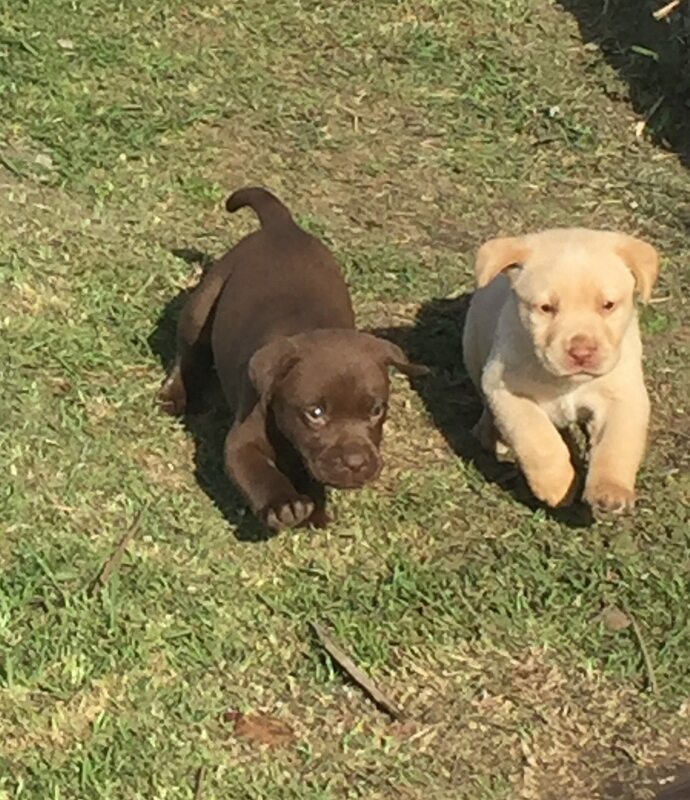 Chocolate and yellow Labrador puppies available. 1x yellow female, 2x yellow male, 3x choc male. Born on 6 May 2018. Registered, vet-checked, vaccinated, dewormed and microchipped. Ready to go to permanent homes from 1 July 2018. Price: R4500.